The MP who exasperated advocates by challenging a restriction on upskirting has actually been greatly criticised after obstructing another personal members’ expense. 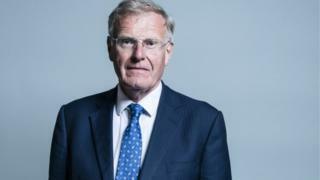 Sir Christopher Chope yelled “item” in a dispute on laws securing kids from female genital mutilation. His Conservative coworker, Zac Goldsmith, stated his actions were “terrible” – Lib Dem Tom Brake stated the MP had “reached a brand-new low”. Sir Christopher has actually argued his objective is to stop severely thought-out legislation. He stated he had actually not been challenging the compound of the problem, however wished to see all legislation correctly discussed. Friday’s Commons argument, brought by crossbench peer Lord Berkley of Knighton, would have permitted the courts to make interim care orders under the Children Act, in cases where kids are thought to be at threat of FGM. The expense had actually currently cleared your house of Lords. But Parliamentary guidelines indicate it just needs one MP to yell “item” to a personal member’s expense which is noted for a 2nd reading however not disputed to obstruct its development. Mr Chope has a performance history of challenging them, arguing that he does it on a point of concept, due to the fact that he does not concur with legislation being brought in the past Parliament on a Friday without sufficient time for a complete dispute. Last year he triggered fury when he challenged another expense to make “upskirting” a criminal offense in England and Wales – that ended up being law last month, after the costs got federal government support. But his fellow Conservative Mr Goldsmith, who co-sponsored the costs, tweeted “please note that as soon as again he did not challenge those advanced by his buddies”. Among others criticising his actions on Twitter, were the Labour MP David Lammy, who recommended Mr Chope “embodies a brand name of senseless, regressive conservatism which can destroy lives” while anti-FGM advocate Nimco Ali stated she had “absolutely nothing however disgust” for Mr Chope. The BBC’s Parliamentary reporter Mark D’Arcy stated, with a great deal of personal members’ expenses in the line for factor to consider in Parliament, this one was not likely to end up being law unless the federal government supported it or chosen to connect it to another piece of legislation.